Paulie Malignaggi wanted a video released of his sparring encounter with Conor McGregor. UFC president Dana White did exactly that. Conor McGregor has brought in numerous boxing professionals to spar with in preparation for his fight with Floyd Mayweather. Perhaps the most notable was two-weight world champion Paulie Malignaggi. But the two parted ways, and now a genuine feud has been sparked. Malignaggi felt McGregor’s camp was going out of their way to make him look bad, posting images of a knockdown and maintaining he was pushed. Malignaggi called for the video to be released and UFC president Dana White was happy to oblige. Most fans see this as an actual knockdown, backing McGregor’s account of events. McGregor thinks a concussion has skewed Malignaggi’s memory of events. Now Malignaggi is calling for a fight after McGregor’s bout with Mayweather. Others maintain the video does not show McGregor scoring a knockdown, and have even slowed down the video to show McGregor’s hand on Malignaggi’s head, knocking him off balance. Jeff Mayweather, who has an obvious bias, said the video exposed McGregor. For the first time since losing to Jon Jones at UFC 214, Daniel Cormier spoke about the loss to his bitter rival. Speculation was rampant that Cormier could retire in the wake of the fight, but he vehemently denied those rumors on The MMA Hour. Thursday Tap Out: Did We See a New Jon Jones at UFC 214? ​Cormier understands that it’s not an easy road back to a title shot. The easiest road might be through the heavyweight division. If he can win the title, and Jones then moves up in weight to pursue a title in a second weight class, they’ll face each other again. But that will only work if Jones doesn’t move up in weight first. The scariest part of Cormier’s post-fight comments was his admission he doesn’t remember the whole night, which further highlights why Joe Rogan shouldn’t have interviewed him after the fight. Conor McGregor’s lack of interest in defending his title belts, albeit to pursue historic accomplishments, has created a log jam in two divisions in the past couple of years. With Georges St-Pierre returning to the UFC and earning a middleweight title shot against Michael Bisping at UFC 217 in Madison Square Garden, essentially jumping the line, the UFC is faced with another predicament. At UFC 213, Robert Whittaker defeated Yoel Romero to win the interim middleweight title belt, which should set up a title unification bout with Bisping. But with Whittaker injured, St-Pierre gets to slide in. The UFC has learned from its mistakes and seemingly heard the exasperated sighs of disgruntled fighters. In response, the promotion has added a stipulation to St-Pierre’s contract saying he must defend his title if he beats Bisping. It’s a step in the right direction, but also presents potential for more chaos. St-Pierre told Helwani that the UFC has already stipulated Whittaker would be his next opponent, if he were to win. But what if St-Pierre wins by a narrow margin, or in controversial fashion? Bisping would have a claim to an immediate rematch while Whittaker and his interim belt would still be in the wings waiting for the unification bout. Bisping doesn’t think the stipulation has put the UFC in a position of control. “All that stops Georges from doing - Georges is still in the position of power, much as I don’t like to admit that,” Bisping said on his Believe You Me podcast. “Listen, I’m fighting GSP and I have a fan base and people like to watch me fight or people like to see me get knocked out. Win or lose, people do tune in. 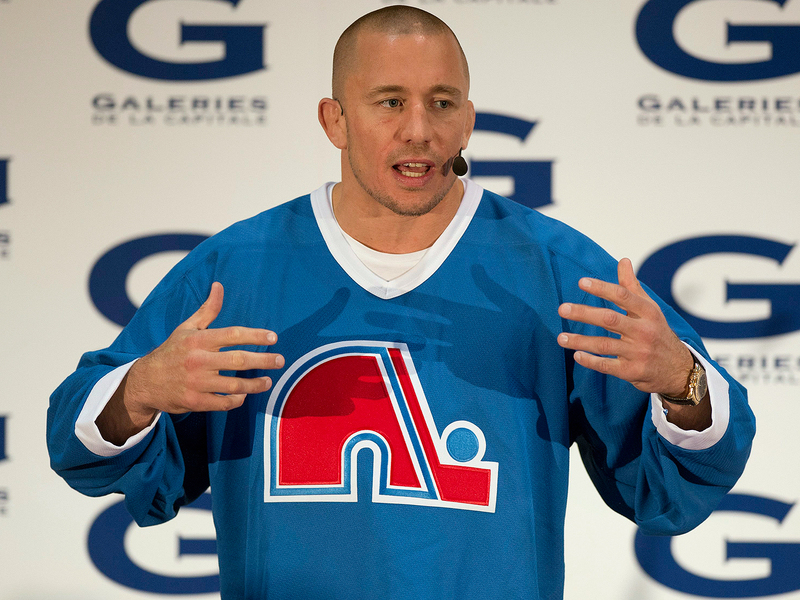 But GSP is a big name and he brings the huge Canadian market with him and that’s what the UFC are after. They want all those Canadians to start buying the pay-per-views again. From what I’m hearing, pay-per-view sales in Canada haven’t been doing too well lately so they want GSP to come back and they want all those people, all those lumberjacks to start buying the pay-per-views again. In an open and candid Q&A, Jon Wertheim of Sports Illustrated and UFC president Dana White talked about an array of topics, with White touching on a few notable talking points in the world of MMA. First, he said he thinks Rousey will retire but mentioned that she remains in the USADA testing pool. Rousey’s future is up in the air after her second consecutive loss, which came in devastating fashion. The rumor mill has her tied to the WWE in the immediate future, and Rousey has teased “major news coming soon” on her website. Second, White called Jon Jones the greatest of all time, which isn’t a stretch at all. It’s refreshing to hear White praise Jones after critical comments as their relationship grew strained over recent years. And lastly, White says the gate for Conor McGregor’s fight against Floyd Mayweather is $100 million, which he claims is just $3 million shy of the Super Bowl’s best gate ever. ​Bellator has signed former UFC heavyweight champion Frank Mir. In some ways it’s a win-win for both promotions. The UFC is embracing a youth movement with names like Francis Ngannou, while Bellator gets a big name to draw eyeballs to its promotion, and hopefully its young, talented prospects. Hopefully this helps clear up the heavyweight division in Bellator, which is without a champion. Matt Mitrione, another UFC defect, just defeated Fedor Emelianenko. It’s time for Bellator to bring back the heavyweight title. 1. Is the criticism of Conor McGregor’s open workout fair? I know McGregor hasn't looked great in his open workout. At the same time, when you let the public in on your workout, I don't think he and his team want to reveal his best stuff. Similar to when coaches or players don't reveal a game plan before facing an upcoming opponent because it gives the opponent insight and a chance to counter what they see or hear. 2. Is Paulie Malignaggi and Conor McGregor a fight that should be entertained at all? It has taken an interesting turn and fans want to see it happen. I'm on the fence about this, but I'm leaning more towards no. I'd rather see him back in MMA. Keep in mind, he's won two different belts and has never defended them. I think the idea of him chasing Mighty Mouse and Anderson Silva's record for title defenses would be fun to watch. 3. Dana White said he thinks Ronda Rousey will retire, is that what you see for her next? I think White has gotten annoyed with this question because it's all he gets asked about almost every time he does an interview with non-MMA media. I don't think Rousey is done for two reasons. Her loss to Nunes was 7.5 months ago. I think she would have made a decision to retire by now. I also understand she got engaged recently to Travis Browne and maybe they want to have kids. That could play a role in her decision to retire sooner rather than later. But second, I don't think her ego will allow her to retire like this: a brutal KO and a TKO loss in under a minute. I'm sure she wants to go out with a win. 4. 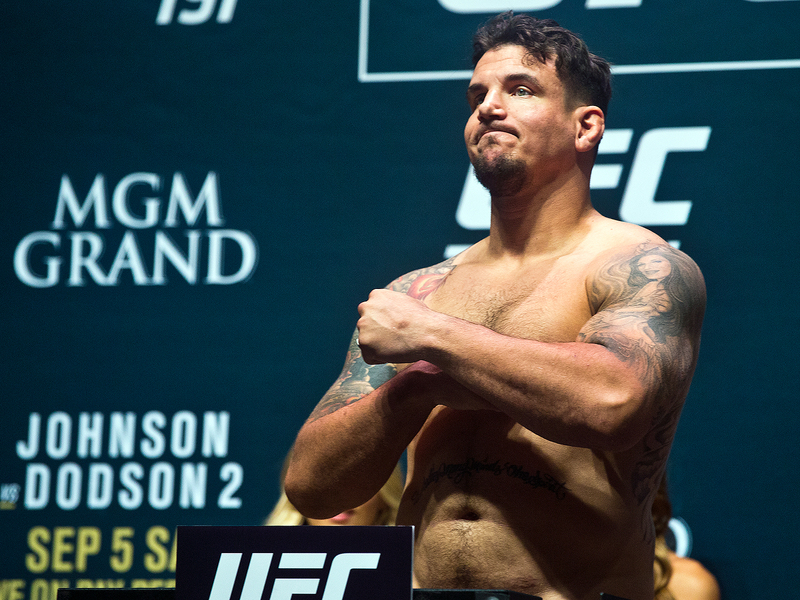 Was signing with Bellator the right move for Frank Mir? I certainly think so. Mir wants a big opportunity and a title run. It's doubtful he would have gotten that in the UFC. He's doing what Benson Henderson did and what Gegard Mousasi is doing now. Mir is already a top dog at Bellator. 5. Bellator has added several notable heavyweights, if you could wave a magic wand and clear up their title picture, how would you book it? Matt Mitrione gained some notoriety from the NYC card. Roy Nelson is also an interesting guy in that mix. I think a four-man tournament between Mitrione, Nelson, Mir and Muhammed Lawal would make sense. Aljamain Sterling has expanded upon his Twitter beef with UFC bantamweight champion Cody Garbrandt over the use of the word “boy” in a demeaning manner. Cris Cyborg is still angling for her first title defense to come against Holly Holm, someone she does not consider dangerous. Cyborg also claims Holm will run. Conor McGregor has his own embedded video team providing a behind the scenes, albeit extremely limited view, into his training camp for his fight with Floyd Mayweather.